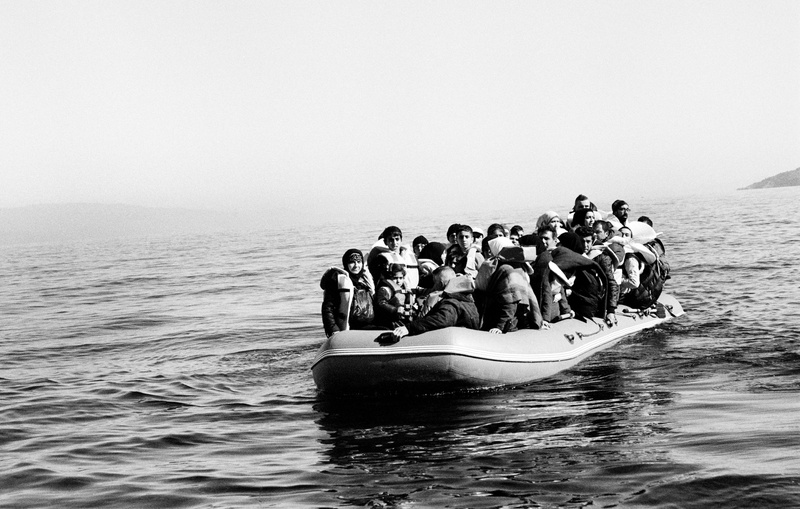 A boat carrying over 40 Afghans approaches Lesvos after crossing the Aegean from Turkey – Lesvos, Greece. October 31st 2015. 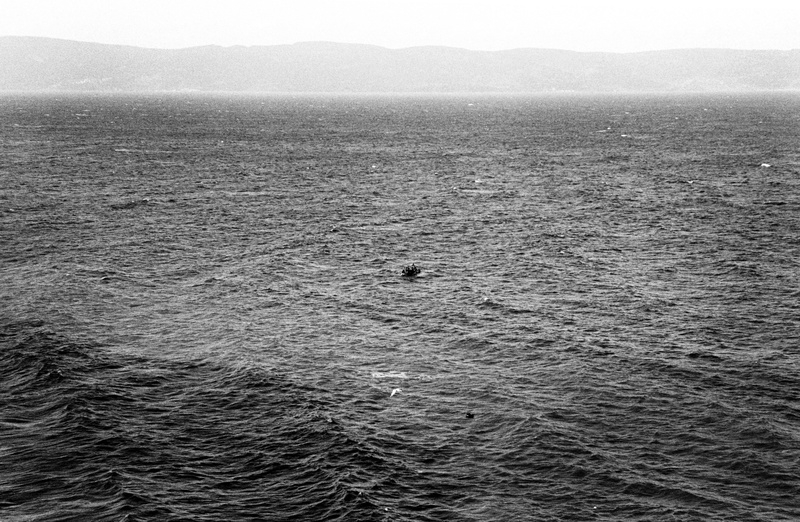 A boat carrying Syrian refugees drifts in the Aegean after its engine stalled. Sometimes the smugglers send the boats off boats without enough fuel for the crossing, but normally the engines stall because the refugees simply don’t know how to use them. In this case a local fisherman was on hand to rescue the boat and tow it ashore. – Lesvos, Greece. October 31st 2015. 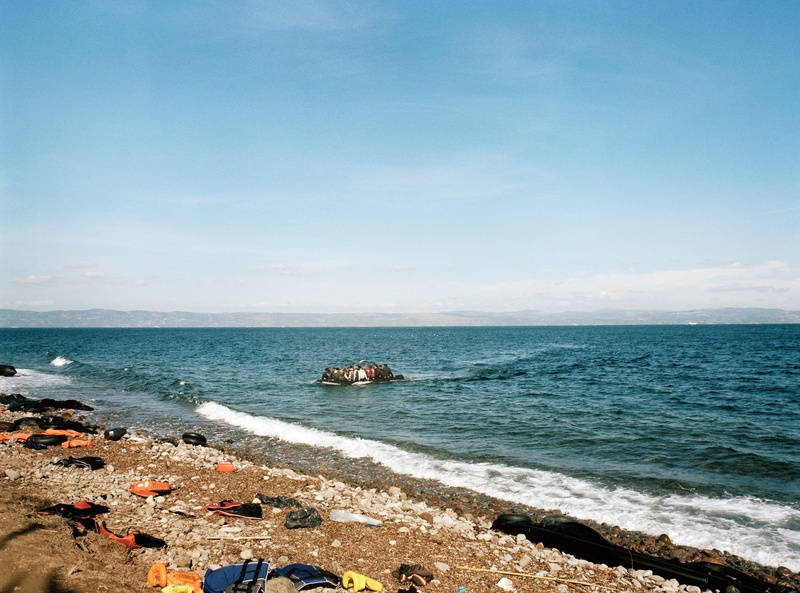 An inflatable boat with nearly 40 Syrian refugees on board drifts helplessly towards the cliffs after its engine stalled. From where we stood, we could hear the screams as the boat took on water from the waves that crashed against it. 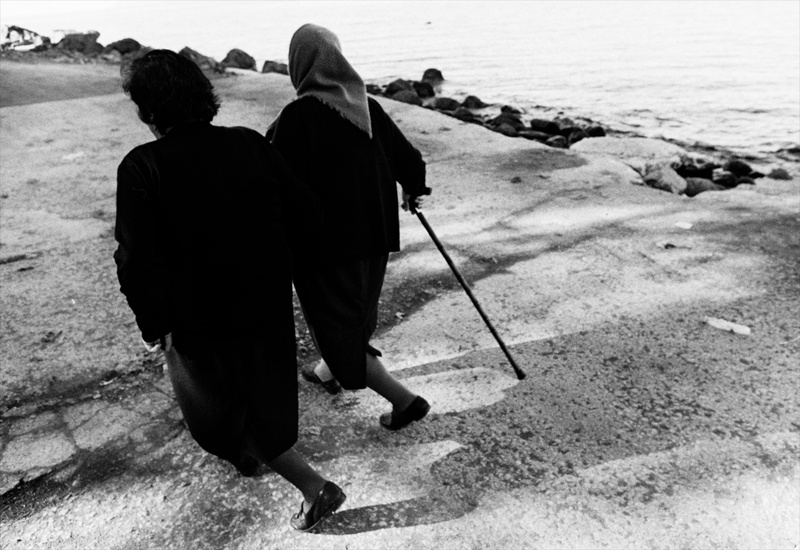 – Lesvos, Greece. 29th October 2015. 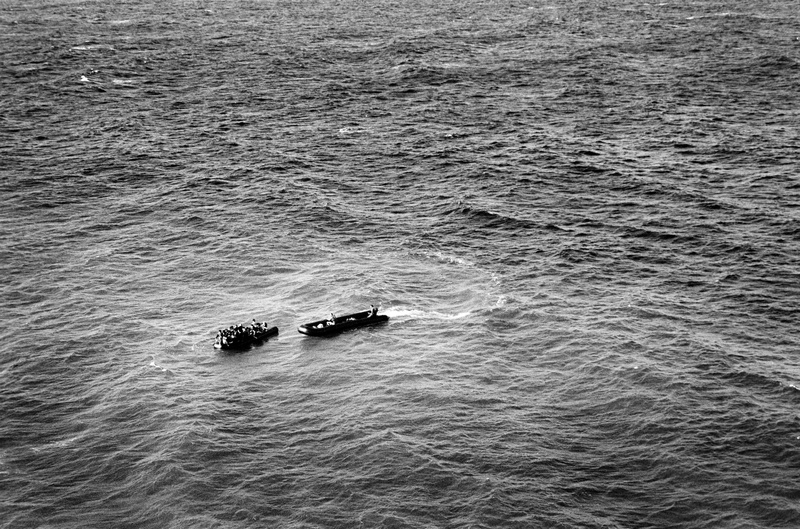 Volunteers, using a salvaged smugglers’ boat, rescue a boat after its engine failed. – Lesvos, Greece. 29th October 2015. 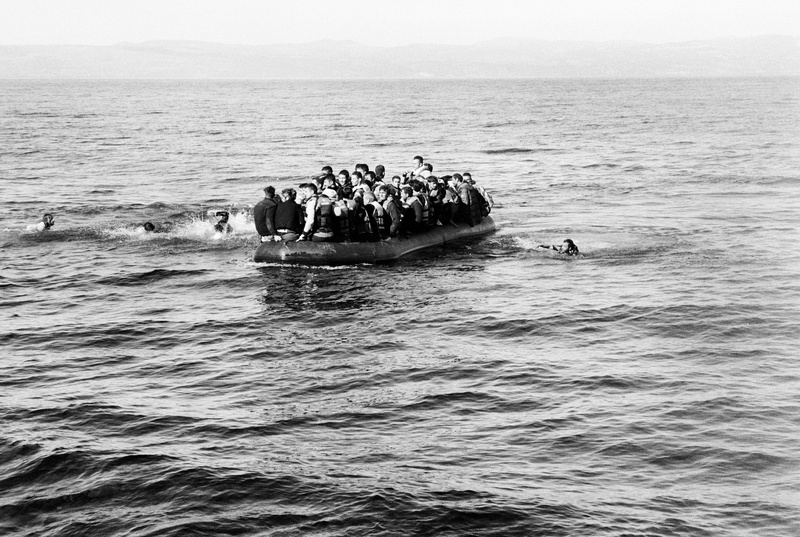 An overcrowded boat of refugees heads to the shore. Two men had fallen from the boat; they were rescued by volunteer Spanish Lifeguards. 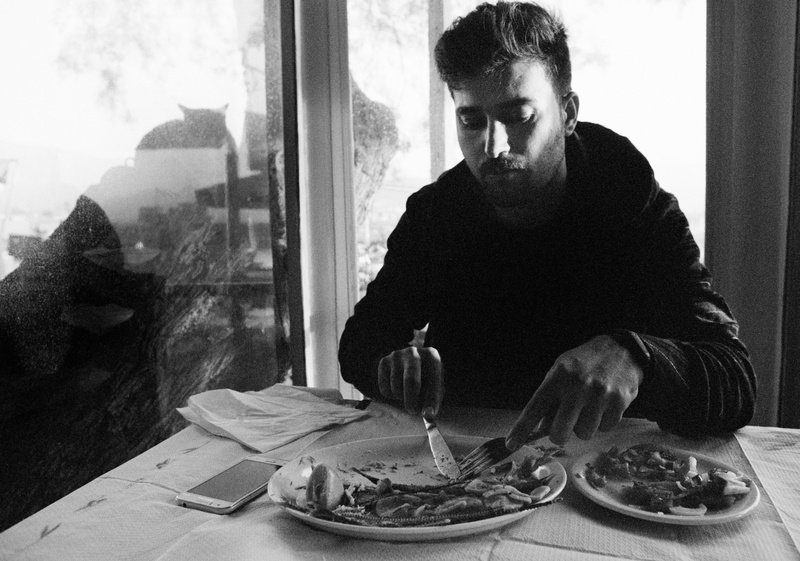 – Lesvos, Greece. 28th October 2015. 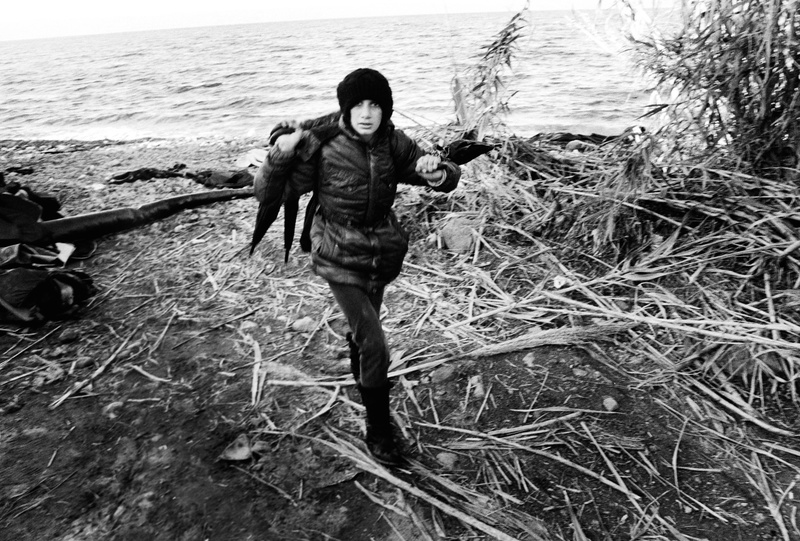 Survivors struggle ashore after their boat ran into trouble – Lesvos, Greece. 28th October 2015. On landing a woman collapses, the boat she had been on had been drifting at sea for hours. 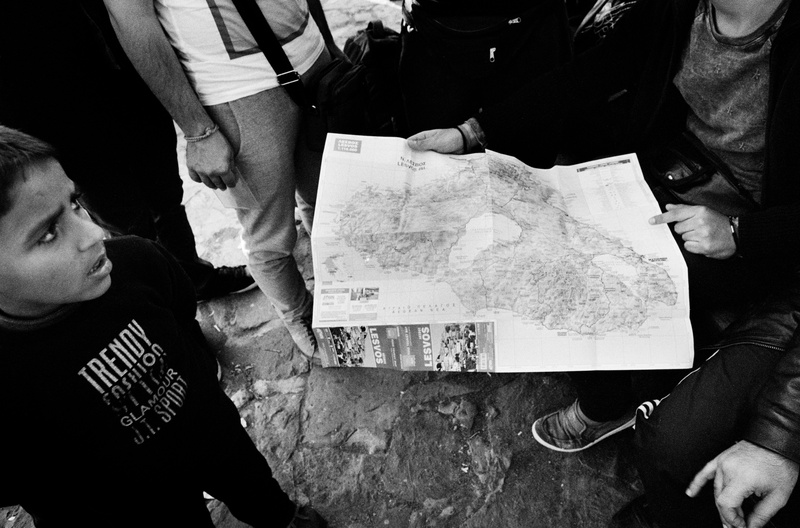 – Lesvos, Greece. 29th October 2015. Looking across the Aegean from Molyvos. 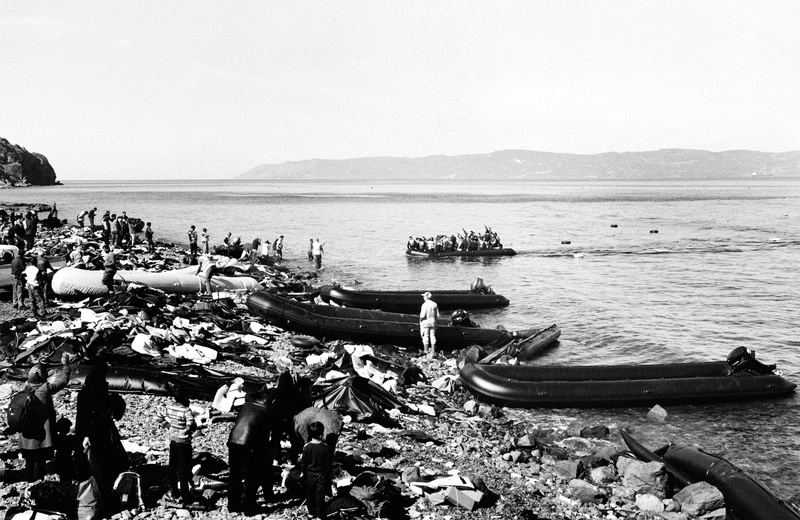 On the day before, 28th October, the Aegean had witnessed one of its worst tragedies, when a large wooden boat carrying over 350 people sank. 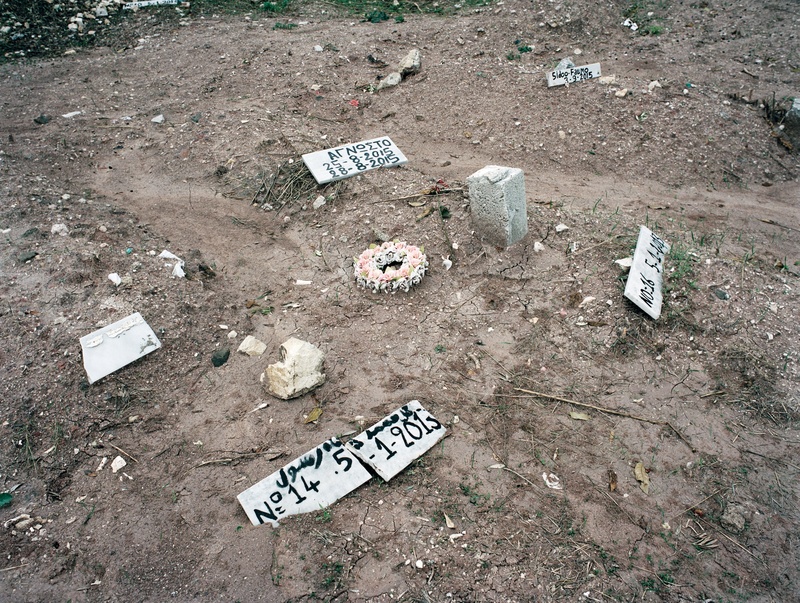 Nobody is sure how many died that day, but most estimates put the figure above 40. Many were children. – Lesvos, Greece. 29th October 2015. 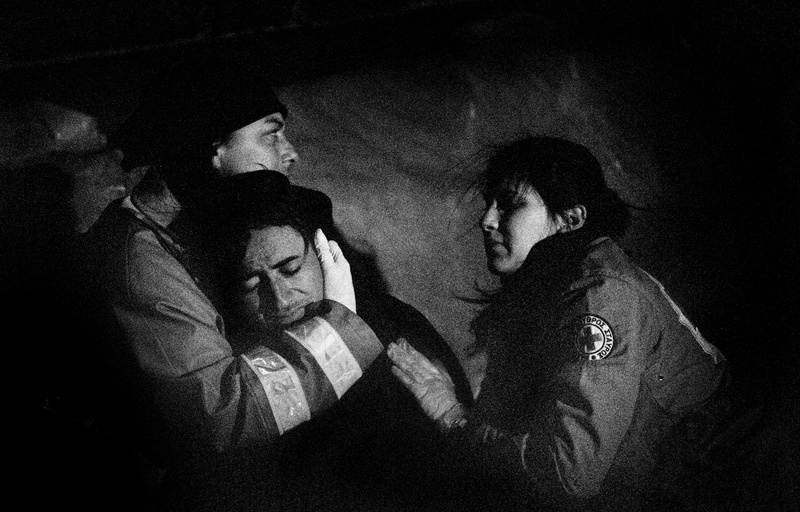 The Greek Red Cross treats an Afghan refugee who is suffering from hypothermia. 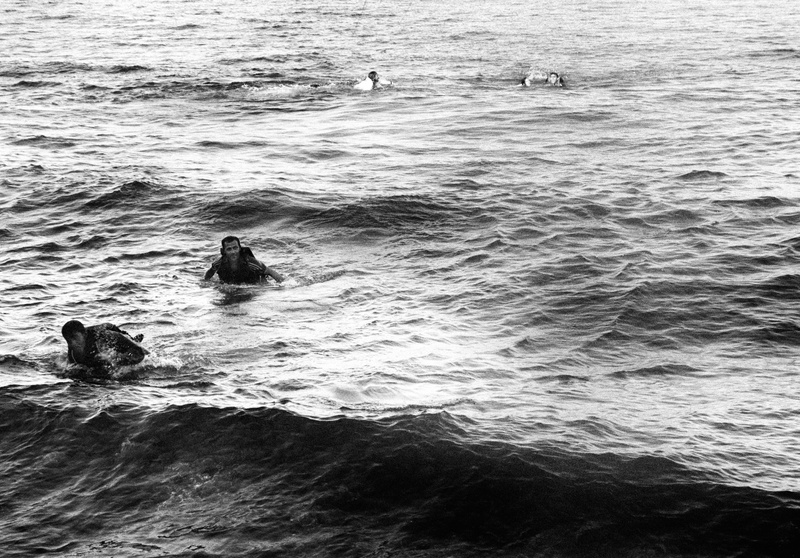 The boat had partially sunk, leaving the survivors in the water for nearly six hours. – Lesvos, Greece. 29th October 2015. 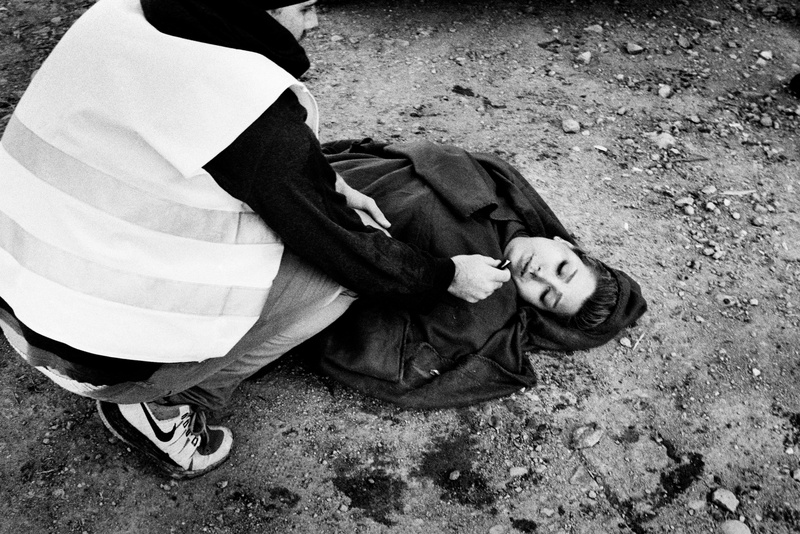 The Greek Red Cross treats an Afghan refugee who is suffering from hypothermia. He survived, but another on his boat lost their life. 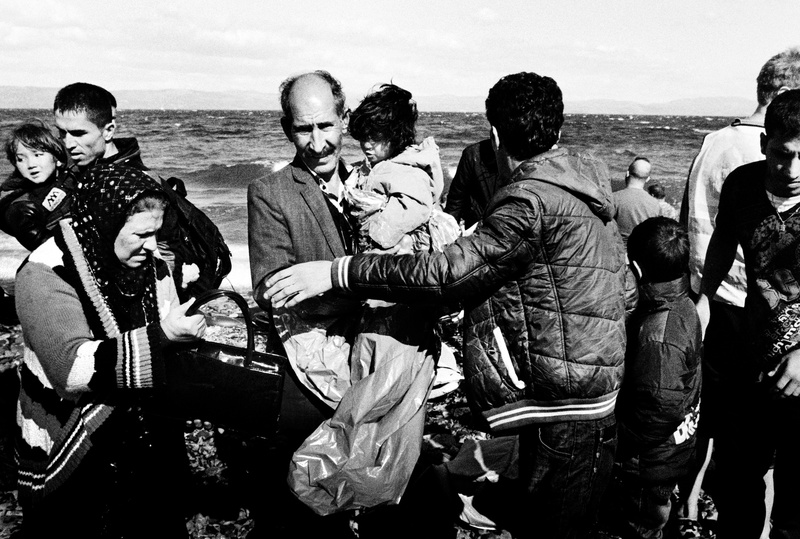 – Lesvos, Greece. 29th October 2015. 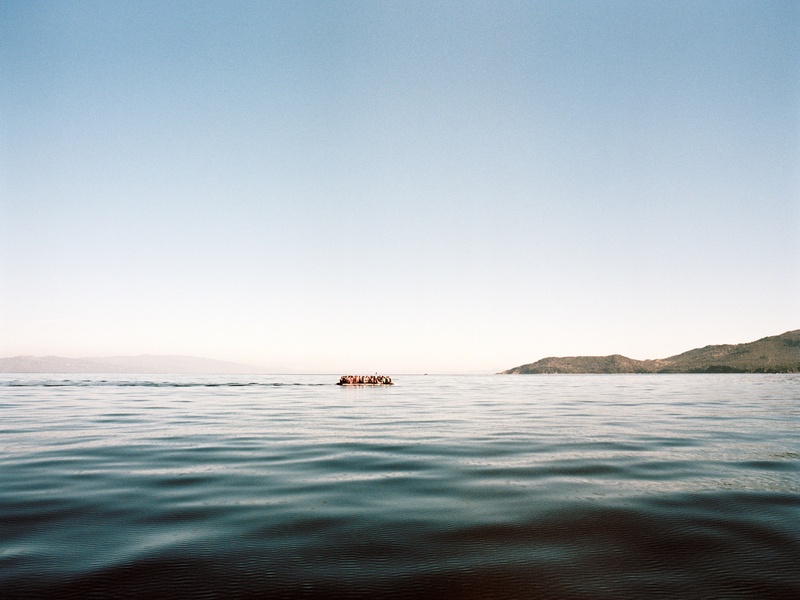 An inflatable boat lands on the coast of Lesvos between Eftalou and Skala Sykaminia. 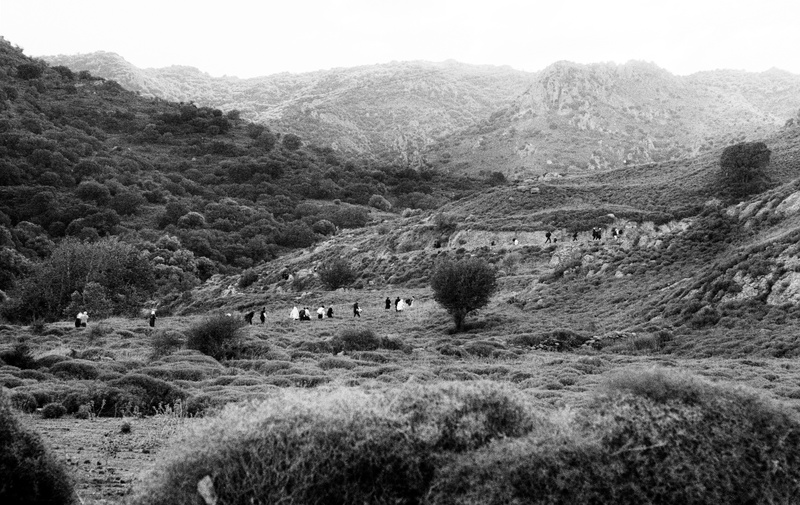 Over 40,000 refugees and migrants arrived in Lesvos during that week alone – Lesvos, Greece. 26th October 2015. 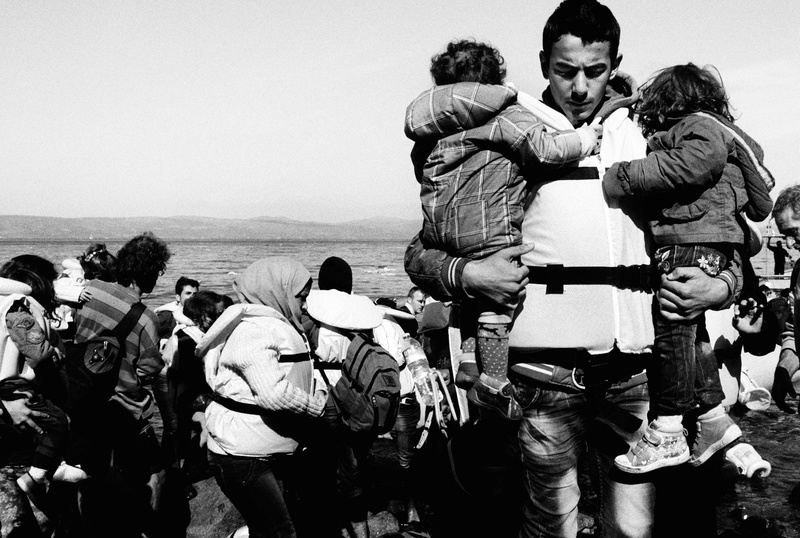 In the week October 22-28 there were on average 5,800 arrivals a day on Lesvos. Of these 52 per cent were Syrian and 19 per cent from Afghanistan. 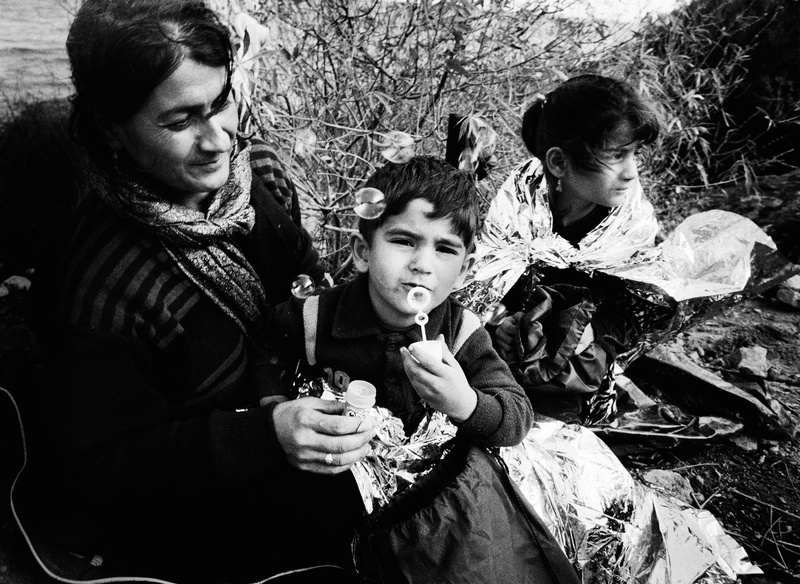 – Lesvos, Greece. 26th October 2015. 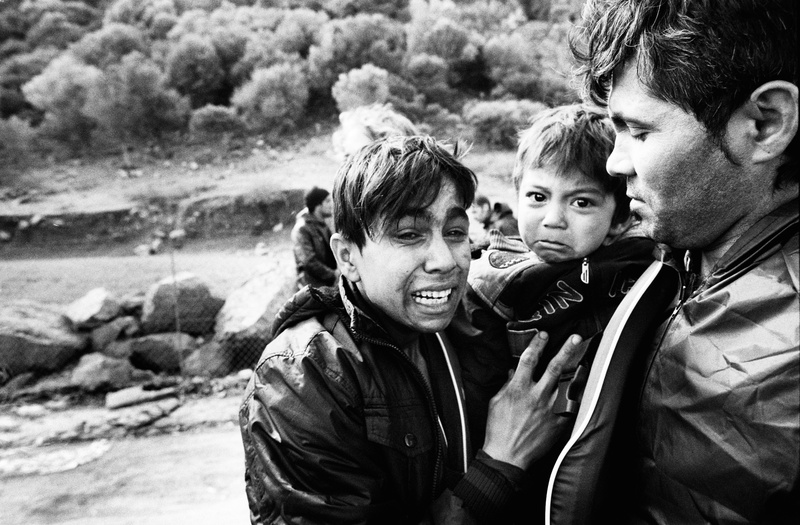 A father carries his two children from the boat after landing. 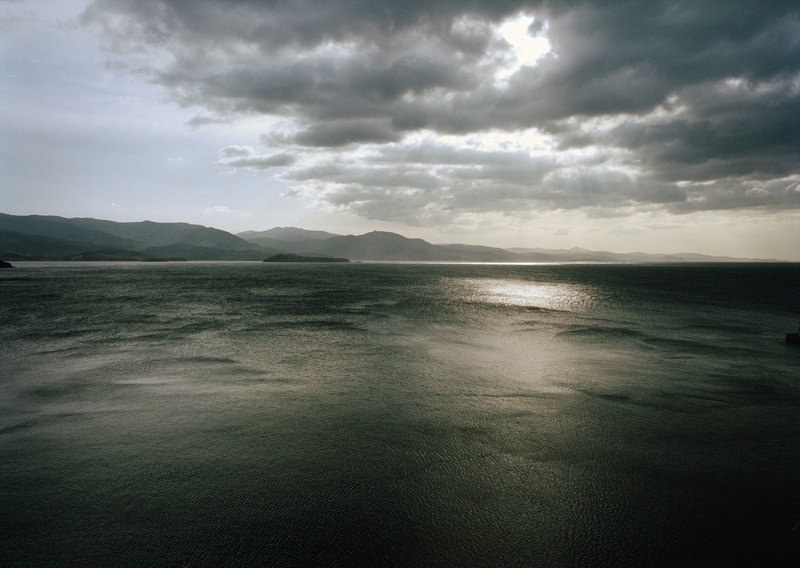 – Lesvos, Greece. 26th October 2015. 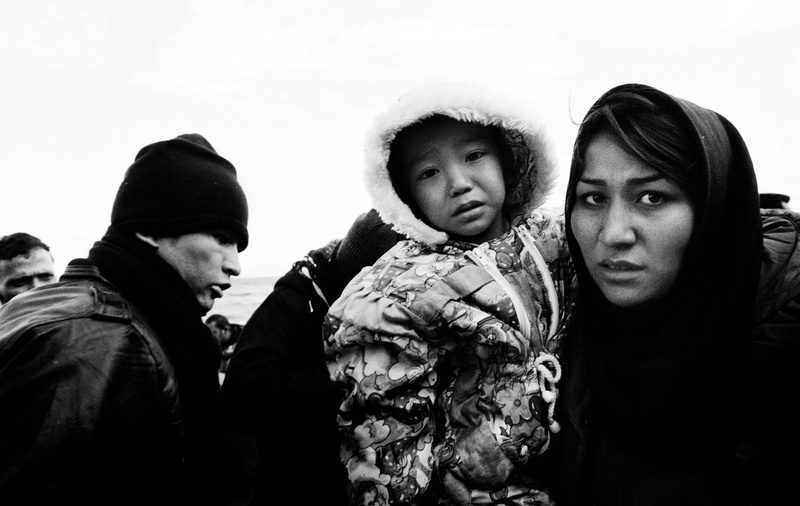 An Afghan family of several generations disembark from an overcrowded boat. 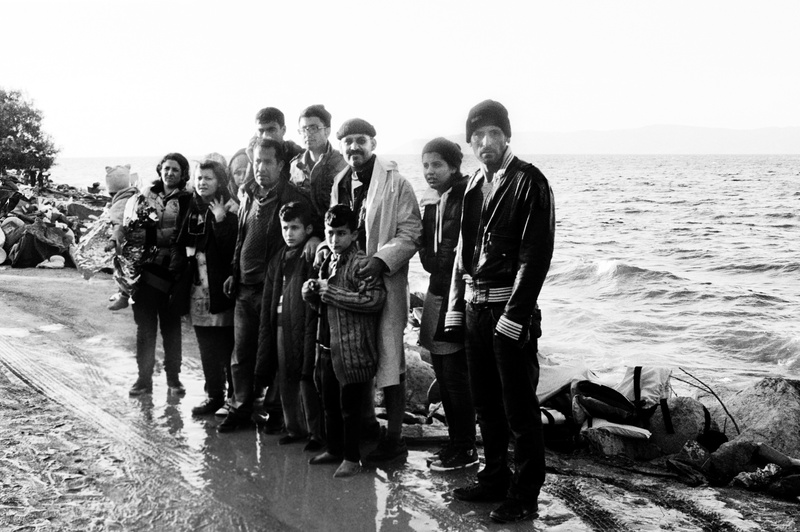 Almost 40 per cent of refugees currently arriving on Lesvos are from Afghanistan. 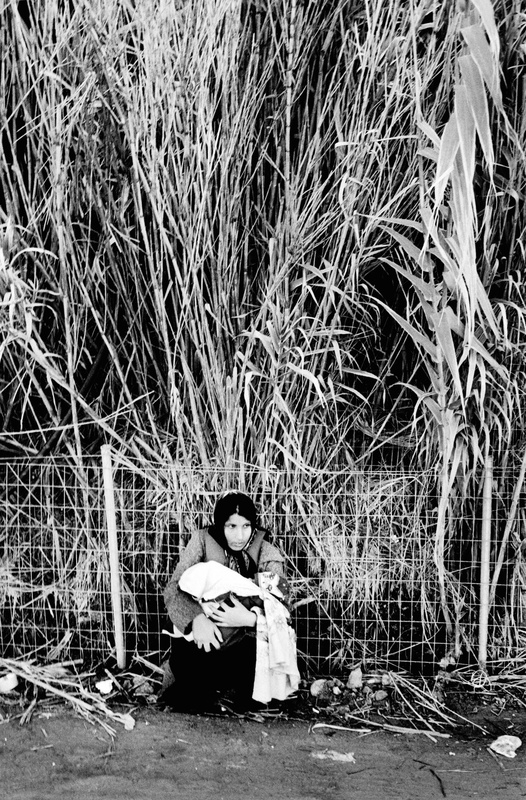 – Lesvos, Greece. 28th October 2015. 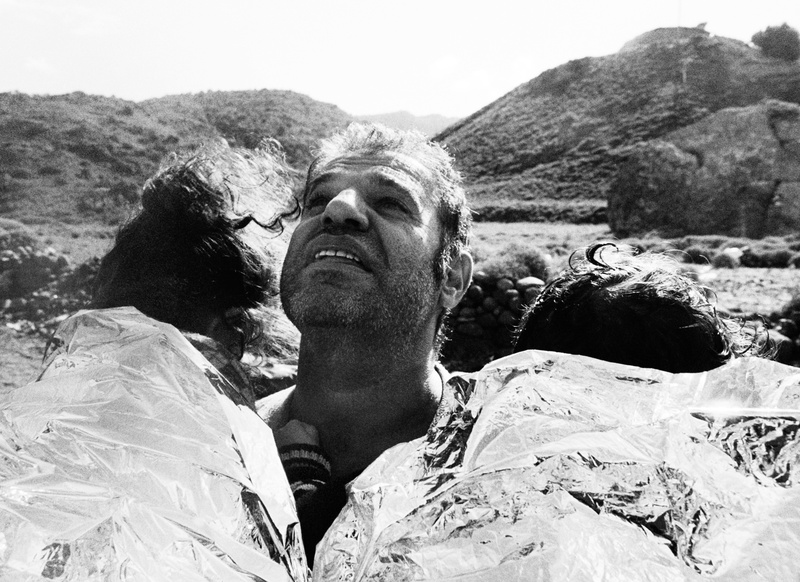 A father, his two children now safely wrapped in thermal blankets, looks to the heavens in thanks after landing safely on the beach. – Lesvos, Greece. 26th October 2015. A well-dressed Syrian woman arriving on the beach. The second child carries their only belongings: three umbrellas. 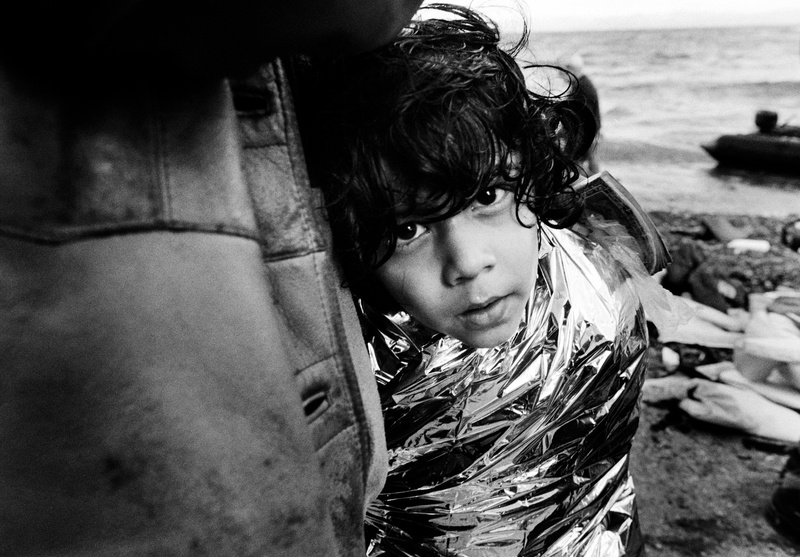 – Lesvos, Greece. 26th October 2015. A girl carries her family’s only possessions; three umbrellas. – Lesvos, Greece. 26th October 2015. 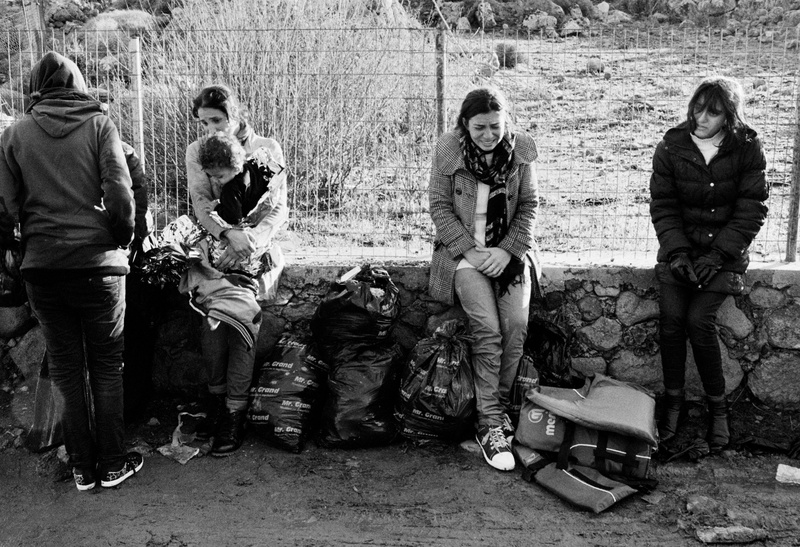 Refugees sit on a wall in shock after landing in Lesvos – Lesvos, Greece. 26th October 2015. 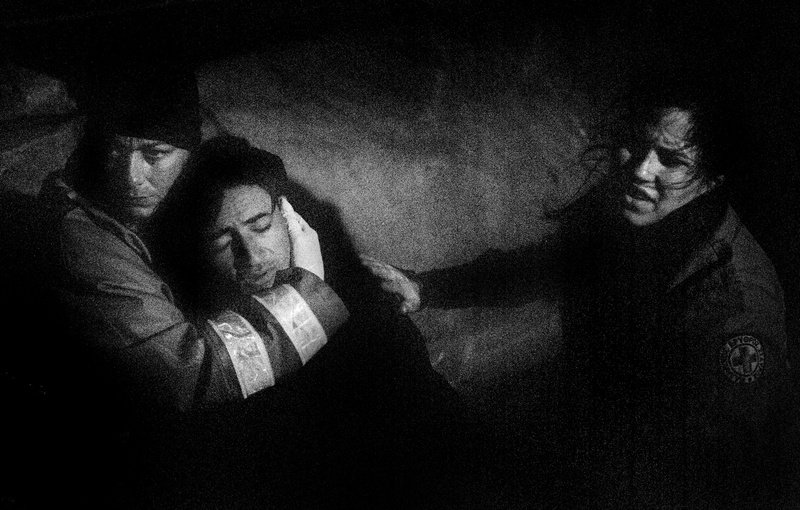 Moments after their boat landed an Afghan woman, with her baby, sits in shock by the beach – Lesvos, Greece. 28th October 2015. 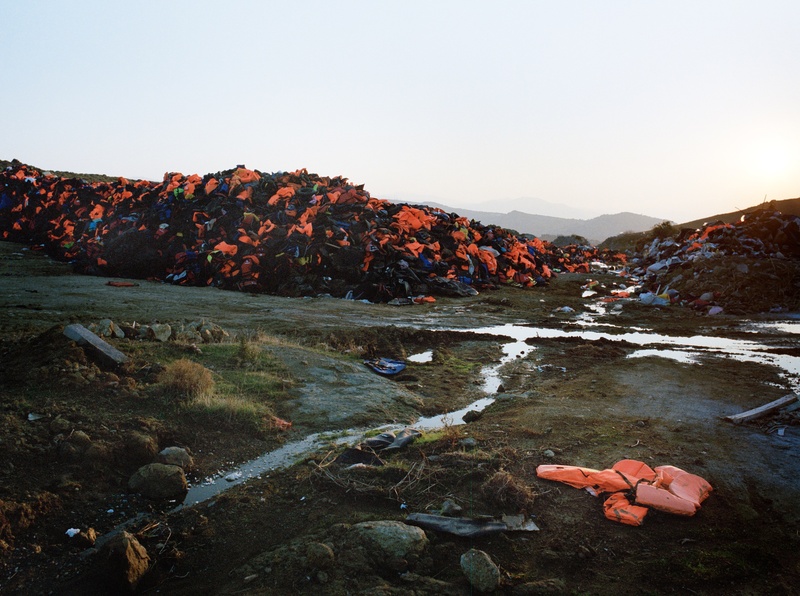 Most of those landing in Lesvos are soaked by the time their boats reach the beach. 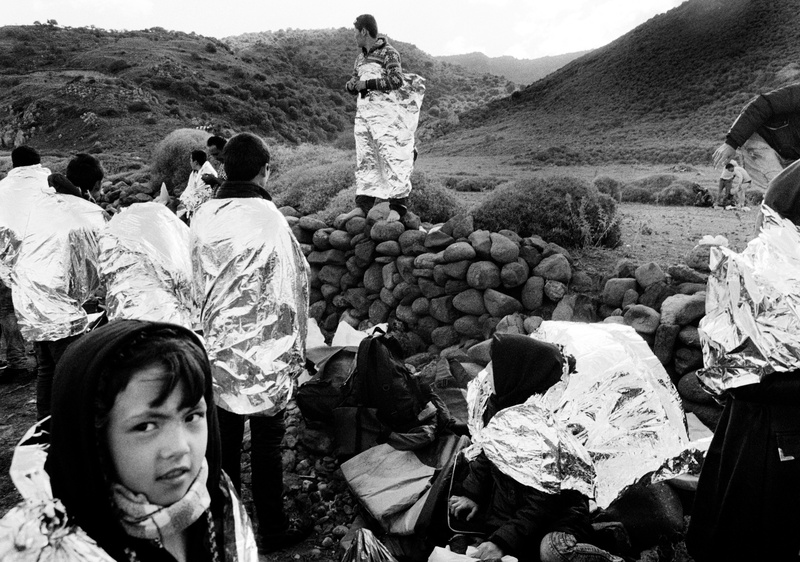 With no dry clothes, emergency blankets are their only protection against the cold as they start their journey inland to the first reception points. Lesvos, Greece. 28th October 2015. Those landing by boat usual carry three things wrapped carefully in cellophane – their money, official papers and phone. 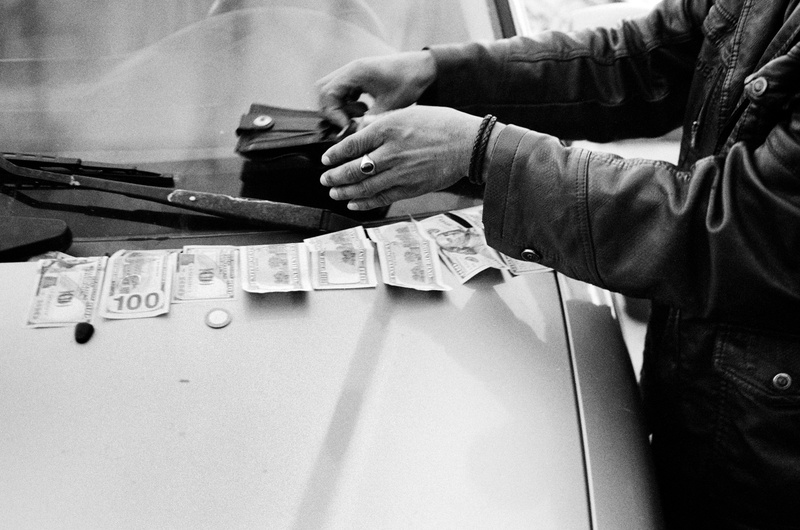 A Syrian refugee dries his money, whilst his friends mock him for forgetting to wrap his wallet. – Lesvos, Greece. 30th October 2015.